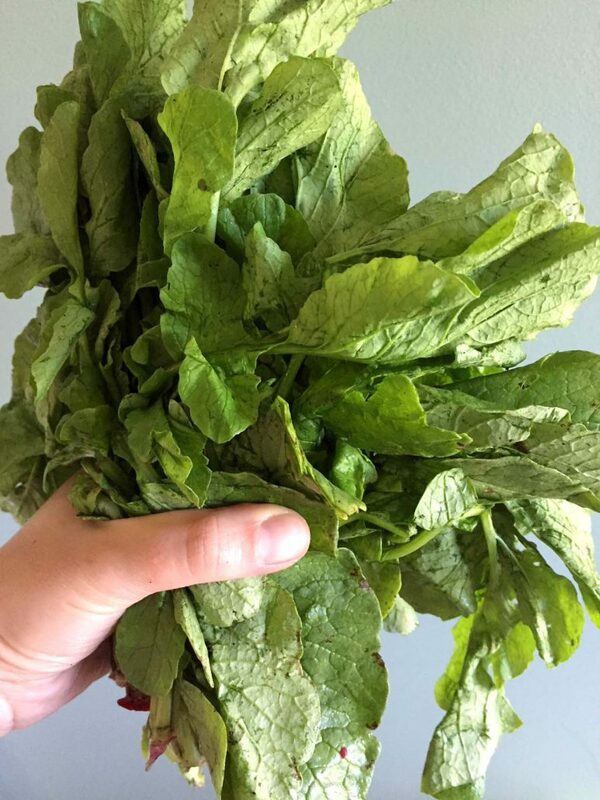 Do you throw out radish greens? 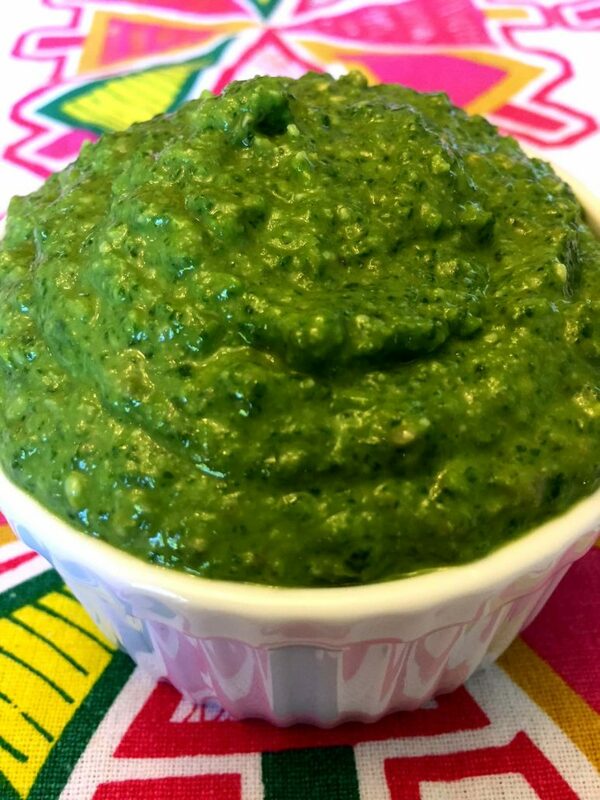 Once you try this Radish Greens Pesto, you’ll never throw out radish leaves ever again! It’s delicious, it’s incredibly healthy, very very easy to make, and very FRUGAL! Don’t you just hate it when you buy a bunch of radishes, and those crisp green leaves turn to mush in your fridge veggie drawer? Or you just cut them off and toss them in the trash and feel bad that you are wasting them? Well, never again! 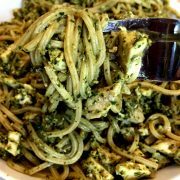 Turn those fresh radish leaves into healthy Radish Greens Pesto pasta sauce, sandwich spread, or snack – it’s like getting a pricey jar of pesto for free! There’s a lot to love about Radish Greens Pesto. Frugal me loves that I “upcycled” what I previously threw away. Healthy me loves how good for you this is. “Gourmet” me loves how yummy this is! 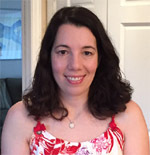 Lazy me loves how easily and quickly this comes together – in less time than it takes to boil spaghetti! Radish greens are a little more bitter than traditional pesto greens like basil, so I replaced the traditional pine-nuts with sweeter sunflower seeds. Bonus – sunflower seeds are cheaper than pine nuts! P.S. 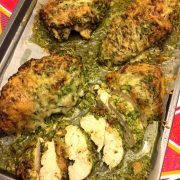 – if you are also looking for traditional pesto recipe, check out my homemade basil pesto – it’s amazing! Tip: Make sure the olive oil and the Parmesan are good quality because you really do taste them in the final product. So there you are, in the market, and the radishes are looking beautiful, with loads of crisp green leaves on the top. Buy a couple bunches. 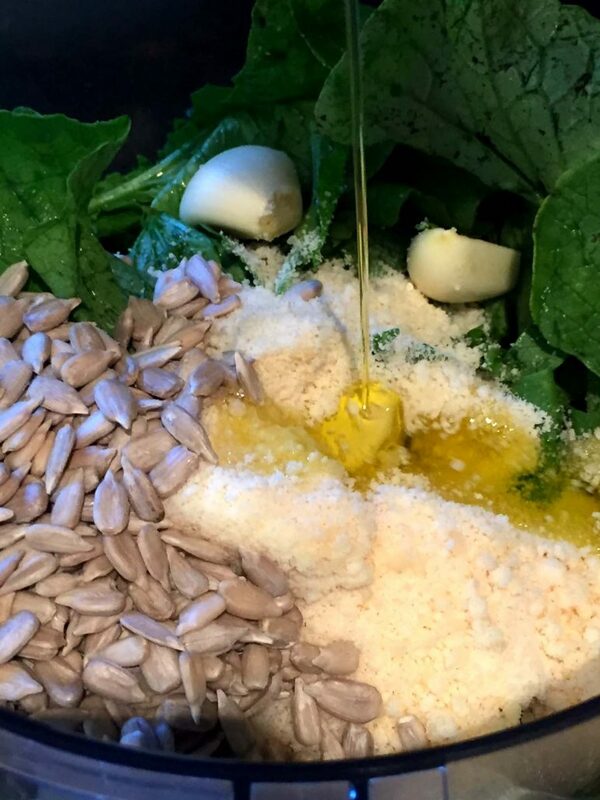 Recipe check – do you have sunflower seeds, garlic cloves, and good fresh grated Parmesan cheese and good olive oil? Check! 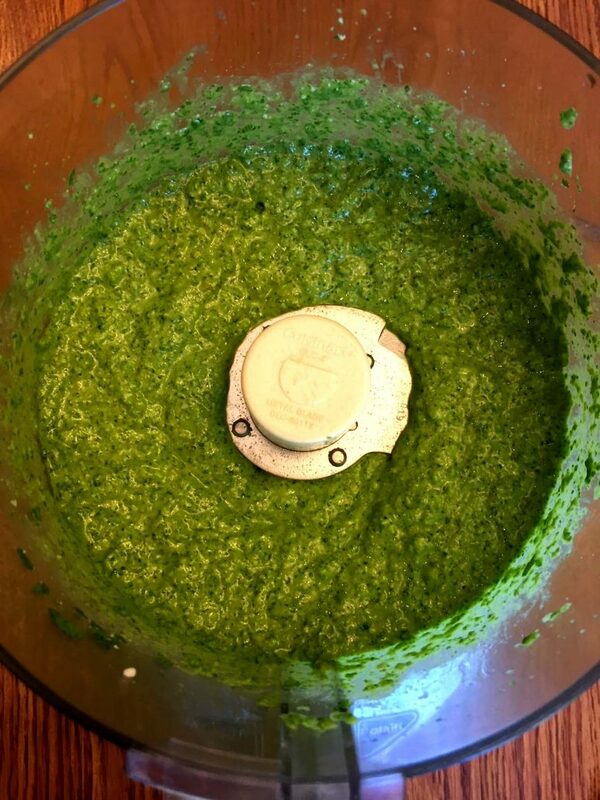 A great Radish Greens Pesto is only minutes away! It tastes like summer to me! Wash those leaves, discarding the tough stems, peel the garlic cloves, and toss all the ingredients into the food processor. Two minutes later you have super tasty super food! Look at all the healthy nutrition that’s packed into Radish Greens Pesto. Radish greens are a nutritional powerhouse, ranking right up there with broccoli and kale in terms of antioxidants. They’re high in vitamin C, A and B6 and calcium, magnesium, phosphorus, and iron, and also detoxify the body. Garlic is high in Vitamin C and B6, and manganese, potassium, iron, calcium, magnesium, zinc and selenium. It lowers cholesterol, and has antibacterial, antiviral, and anti-fungal properties. Sunflower seeds are an excellent source of essential fatty acids, vitamins (E and folic acid), minerals (Calcium, iron, manganese, zinc, magnesium, selenium, and copper), antioxidants, and proteins. And we all know how good for us olive oil is. Wow! I serve Radish Greens Pesto in so many ways, because it’s so good, and so healthy. Yes, it’s great as a pasta sauce, but it’s also wonderful smeared on a cracker, maybe topped with a slice of a nice fresh radish, and a shave of parmesan cheese. Or, serve it as a dip with veggies. What a beautiful tray of hors oeuvres for your next get together! 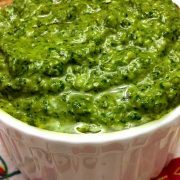 Radish Greens Pesto is also great as a spread on sandwiches like grilled mozzarella , on good bread by itself, or spread on a grilled burger. Turn simple cooked fish into a gourmet treat with Radish Greens Pesto. 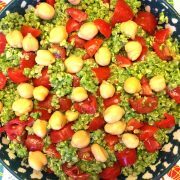 I make a big batch, and enjoy it in meals and snacks all week! Roasted Broccoli Stems – don’t throw out the broccoli stalks, they are delicious roasted! 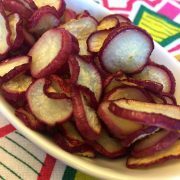 Sauteed Radish Greens – another clever way to use up those leftover radish leaves! Sauteed Beet Greens – just like radish greens, beet greens are edible too! Cook them with garlic on a frying pan, yummy! 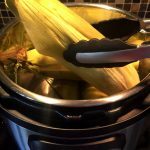 Crockpot Bone Broth – don’t ever throw out the chicken bones! Turn them into rich nutritious broth which makes an awesome base for homemade chicken soup! 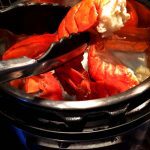 If you own an Instant Pot, I also have the Instant Pot bone broth version! Yes, you can eat radish leaves! 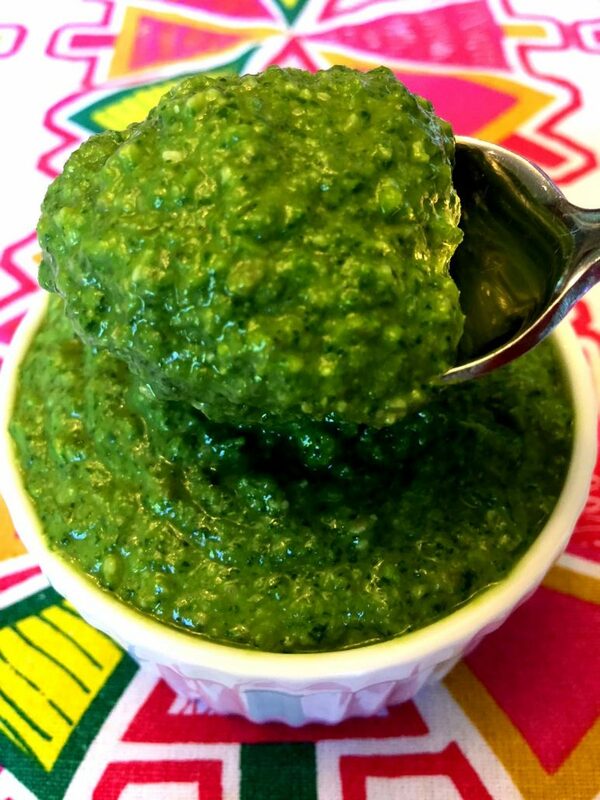 Once you try this amazing radish greens pesto, you'll never throw out the radish leaves ever again! So healthy, easy to make and delicious! Trim the tough bottom stems from the radish leaves and discard. 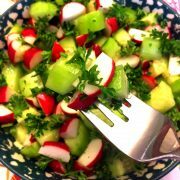 Put radish leaves, garlic, Parmesan cheese, olive oil and sunflower seeds in a food processor and process until smooth. 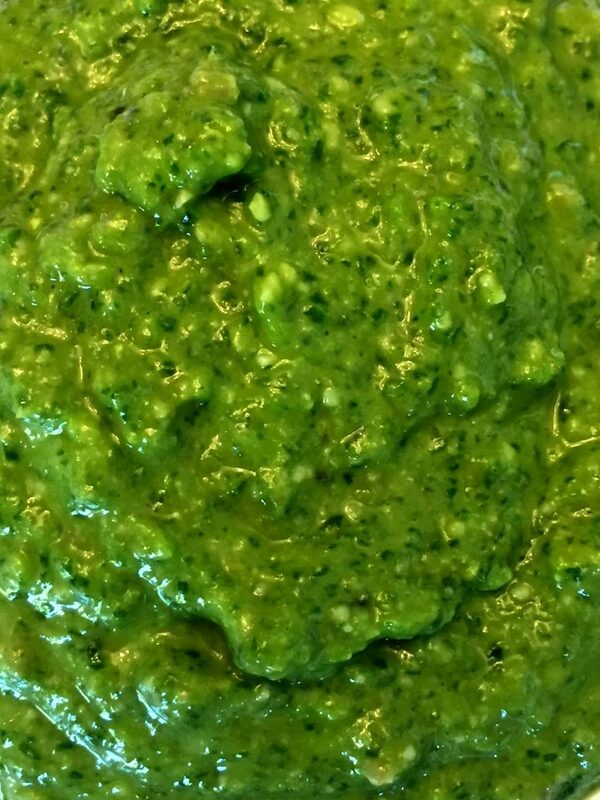 Basil Pesto Sauce Recipe - Fresh Italian Homemade Pesto, Best Ever!